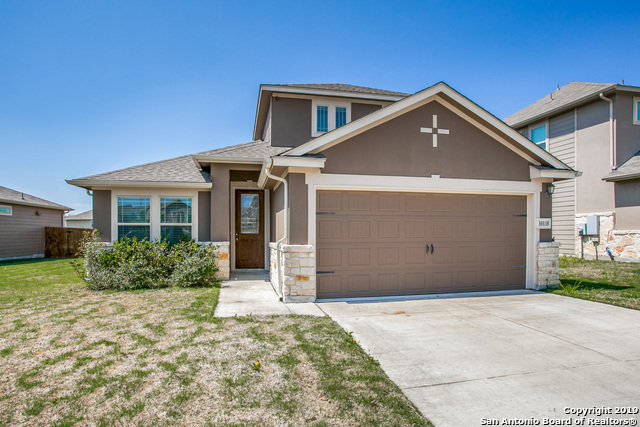 All MACARTHUR PARK homes currently listed for sale in Converse as of 04/25/2019 are shown below. You can change the search criteria at any time by pressing the 'Change Search' button below. "Gently lived in, single owner 3 bedroom, 2 bath one story. Open floor-plan with high ceilings and abundant windows. Beautiful custom kitchen counters with large eat-at island. Ample cabinets and large pantry. Separate dining room and study. Large master. Master bath has double closets, separate tub and shower, double vanities. Over-sized garage. Plumbed for a water softener. Foam Insulation. Corner Lot. 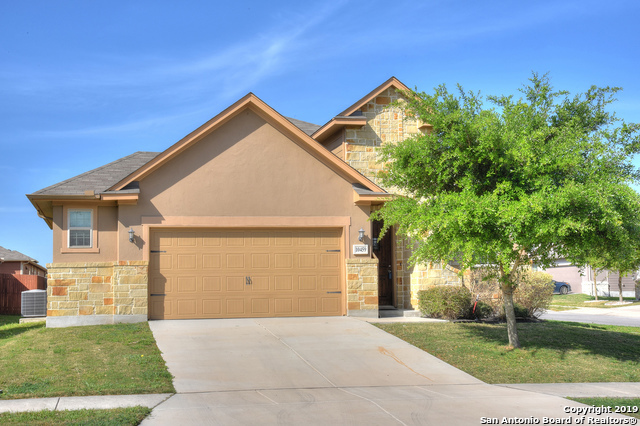 Easy access to Loop 1604 and Randolph Air Force Base." 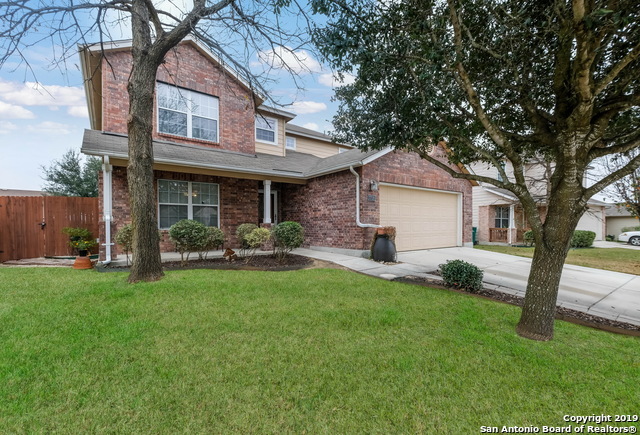 "BEAUTIFUL 4 BEDROOM HOME WITH GAME ROOM AND MEDIA ROOM UPSTAIRS. MEDIA ROOM COULD EASILY BE USED AS A 5TH BEDROOM OPTION.GREAT SIZED SECONDARY ROOMS WITH LARGE CLOSET SPACES. MASTER DOWN WITH BAY WINDOWS AND FULL BATH WITH STAND UP AND GARDEN TUB FOR RELAXATION. HOME HAS A SEPARATE DINING ROOM THAT COULD ALSO BE USED AS AN OFFICE. NEST THERMOSTAT NEWLY INSTALLED, AND APPLIANCES TO CONVEY. CONVENIENTLY LOCATED TO RAFB, MAJOR HWYS, AND SHOPPING CENTERS!" "Former Model Home. Minutes to Randolph A.F.B. and all the shopping you could need. Master down. Awesome Open Kitchen. Tile flooring in Kitchen and Dining. Island Kitchen w/ Upgraded Faucet. Wood Floors(All solid flooring downstairs). Large Corner Pantry. Trey Ceiling and Bamboo flooring in Master. Master Bath features Double Vanity, Jet Tub, and a water closet. All attached items in garage convey. Loft upstairs. 16 4-plex outlets. Intercom. Lots of storage. 8x12 Custom Storage Shed. Grea"
"Open House Saturday 12-3pm Beautifully well maintained open 1.5 story floor plan. 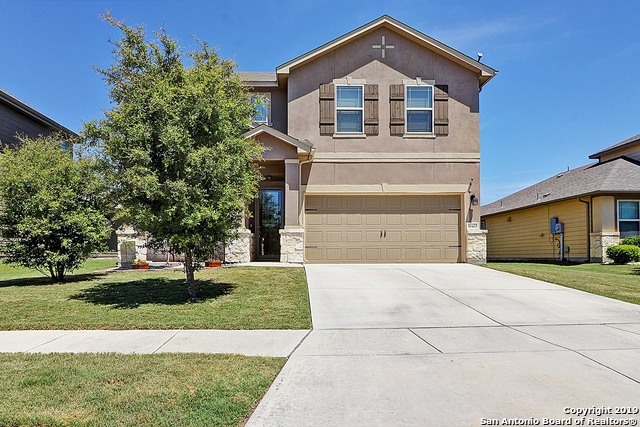 Updrades include Spacious Study/Office, wood floors throughout, kitchen features spacious granite bar with lots of cabinets for plenty of storage. Master Suite is equipped with full bath and separate shower with bench! Secondary bedrooms w/ full bath. Game room upstairs with Full bathroom." "Stunning 1.5 story home in highly desired MacArthur Park! 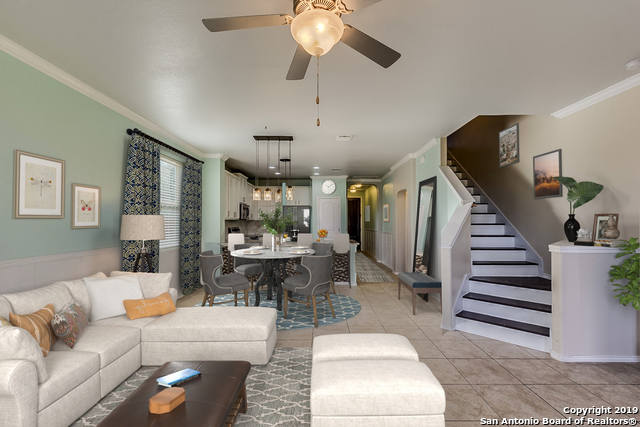 Open & spacious floor plan featuring high ceilings, large bedrooms, office, bonus room, & pride of ownership throughout! Gourmet eat-in kitchen w/ smooth cooktop & copious amounts of cabinet & counter space; perfect for entertaining! Backyard retreat w/ covered patio and sun shades! Residents enjoy use of community pool & playground! Conveniently located near Randolph AFB, 1604, I35, restaurants, shopping, & much more! SCUC I.S.D.! 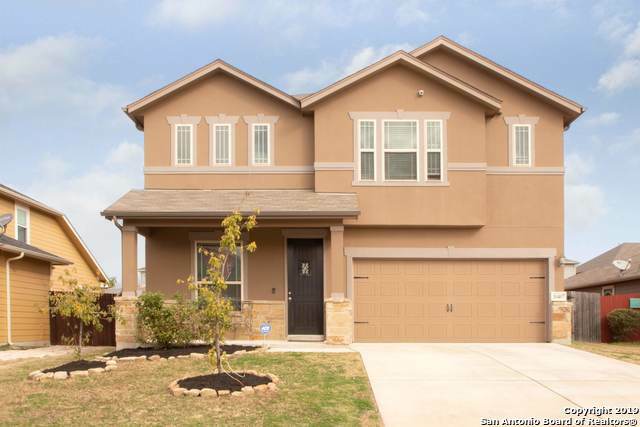 Come s"
"Immaculately maintained open 1.5 story floor plan with many upgrades! This home enters to large study / office and opens to spacious family, dining & kitchen areas. 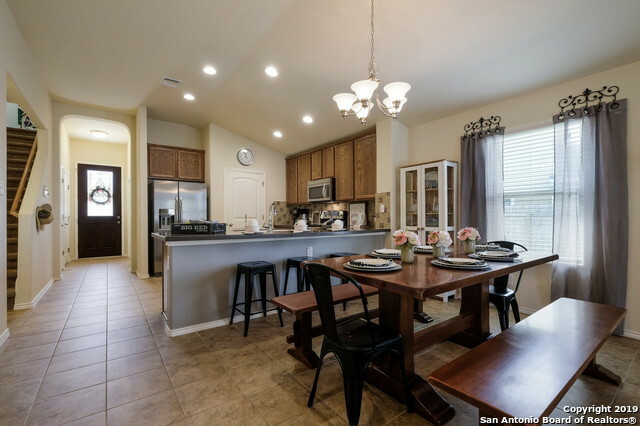 Kitchen features spacious granite bar, tile backsplash & lots of cabinets for plenty of storage. Master suite with full bath attached w/ tiled shower & bench! Spacious secondary bedrooms w/ full bath. Fully privacy fenced backyard. Solar panels on roof for reduced power bills! View this one today."